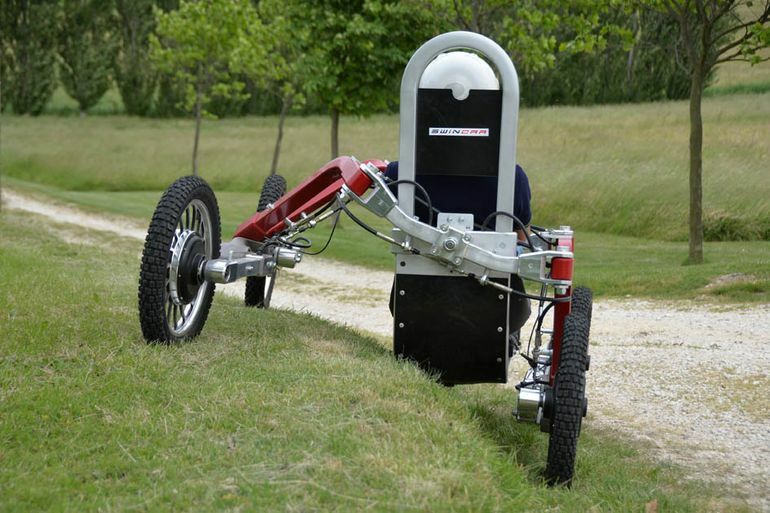 Swincar is a road vehicle with exceptional capabilities which can travel to any terrain. 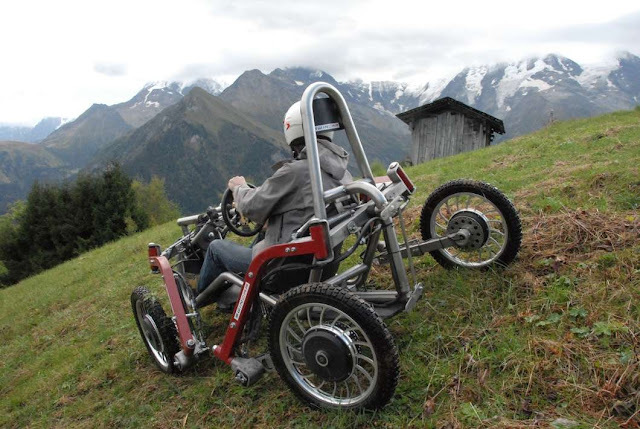 It is in the Drôme, at Mecanroc that Pascal Rimbaud and his team have developed this Swincar should be sold at around € 12,000. Bursting Technology (unpublished until the wheels with an electric motor), the Swincar based on two fundamental principles. The first is that the pendulum balance or how the platform articulated on a longitudinal axis is inclined by centrifugal force. The second is based on the design of the four steering and drive wheels (electric) on a swinging arm. Each traveling at the same speed without using a differential in corners or sloped, the most stress wheel simply uses more power. Swincar takes the concept of fully independent suspension to a whole new planet, Incorporating the tilting of the driver's cell to keep acts while pilot vertical scaling. The kinematic Allows the inclination in turn, correcting tilt and the Most Extreme axle butts. Each wheel, all steered, is powered by its own electric motor — arriving with either 1 or 1.5 kW units and receive its independent suspensions at each of their ends. Swincar Spider is a remarkable tilting 4-wheeler concept that boasts absolutely ridiculous rough terrain capabilities. Each wheel has its own electric hub motor and is independently suspended on a spider-like limb. 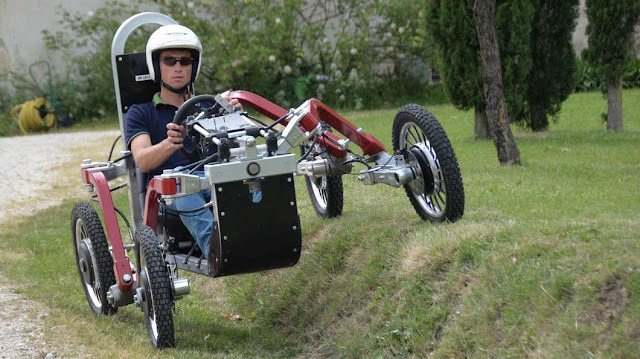 The result is a vehicle that leans into fast turns like a motorcycle, but can also happily go up or down a 70-percent gradient, ride across a 50-percent gradient that puts the left wheels a couple of feet higher than the right ones, or ride diagonally through ditches that send the wheels going up and down all over the place like a spider doing leg stretches.